We start selling Yan Ming Shan White Tea 2018. 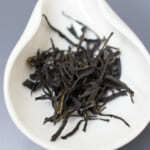 The White Tea from Yan Ming Shan is always very popular among our white tea line-ups. 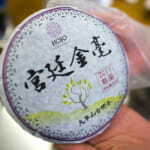 Yan Ming Shan White Tea is made from the tea collected from the garden located at 2000-2200m in Lincang county, Yunnan. The age of tea trees are pretty old and huge. 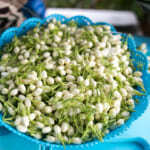 It is from the garden that practices natural farming style. They use no pesticide and no fertilizer. 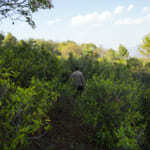 Many people might not aware the difference between naturally farmed tea and so-called the organic tea. In China, organic garden often uses the organic fertilizer in order to boost the production of tea. 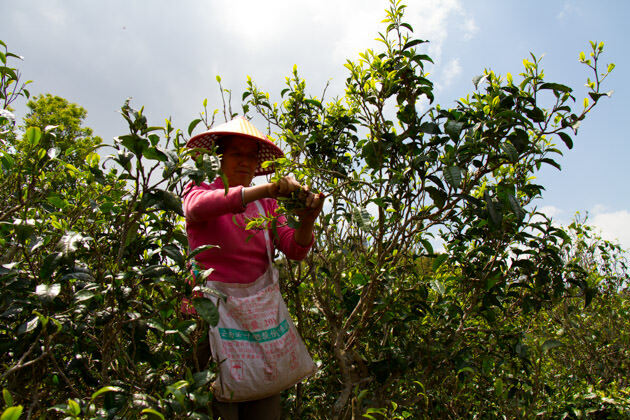 Although the organic fertilizer is safe, it is not suitable to produce quality tea. Regardless of organic or chemical (inorganic), any fertilizer increase the growing speed of tea. As a result, tea contains less minerals and polyphenols. It gives the taste lighter and flater. When no fertilizer is given, tea tree grows slowly and it accumulates high content of mineral and polyphenol. 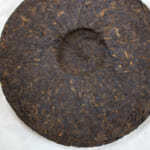 Thus, the naturally-farmed tea has more complex taste and long finishing. 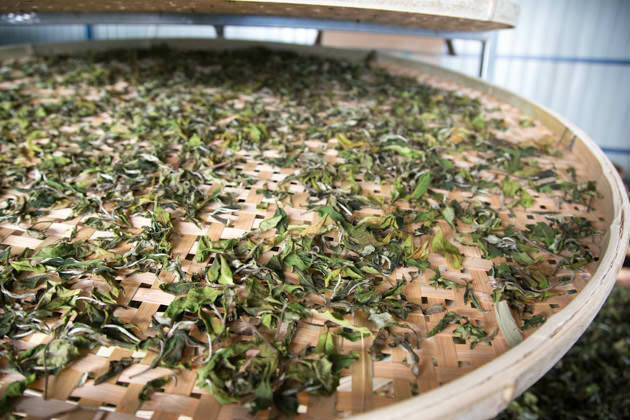 In making Yan Ming Shan White Tea 2018, we withered the tealeaf lightly so as to bring up the floral scent. With first sip, you might associate its flavour to Darjeeling 1st flush tea. Nevertheless, this tea gives extraordinarily strong aftertaste as compare to any Darjeeling tea.It gives multi-layer of flavour and the taste is very thick. This white tea has not undergone any additional heating process, while any type of Darjeeling tea undergone heating process above 100 degree Celsius in order to inactivate the enzyme, and this is the reason why Darjeeling tea often gives clear and sharp taste. As for Yan Ming Shan white tea, its taste is very mellow and silky-soft with multi-layer of floral note and a hint of sweet grassy flavour. The withering process of white tea. The withering develops the floral flavour. Have you tried the white tea that gives a floral flavour? I am aware that some people do not have a good experience with white tea. 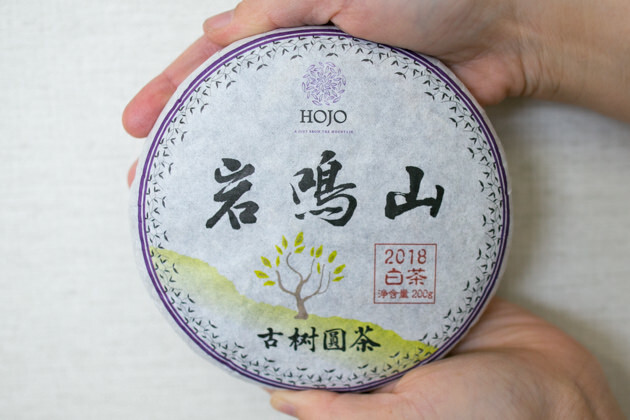 They often said “I am not a big fan of white tea…” The reason given is “it smells like powder or dust”, “less characteristics” or “smell like grass”. In fact, a number of common white tea does give me the similar impression as mentioned above. The process of white tea is very straight forward, thus, the quality of fresh tealeaf has a great impact to the product quality. 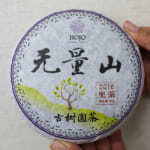 In addition, many white tea manufacturers emphasize the appearance of tealeaf. Therefore, during the withering process, they will supply strong air at higher temperature. 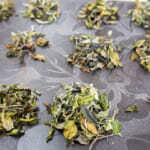 It speeds up the drying process so that tealeaf remains very green and it looks nice. Because of fast drying speed, tealeaf is not withered sufficiently. As a result, tea remains very green with grassy flavour and less clear in taste. For us, we always like the white tea that gives either floral or fruity flavour. The taste must be soft and sweet. This is the reason we use naturally-farmed tea and monitor the withering process by ourselves so as to ensure that withering is nither too short nor too long. This tea is made from the tea plucked with 1 bud 3 leaves. Generally, the higher proportion of tea bud such as single bud or 1 bud 1 leaf makes the taste of tea creamy and the texture is very mellow. On the other hand, 1 bud and 3-4 leaves make the taste stronger and the flavour is more appealing. In fact, it is a matter of personal taste. 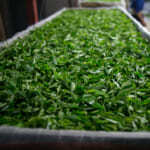 However, for further maturation or aging of tea, or if one prefers clear taste, tea with 1 bud and 3-4 leaves is suitable. 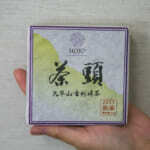 The appearance of Yan Ming Shan White Tea: it gives very sweet floral flavour. White tea is suitable for maturation / aging. For aging, please keep the bag unopened and leave it anywhere inside the building but avoiding the direct sunshine. 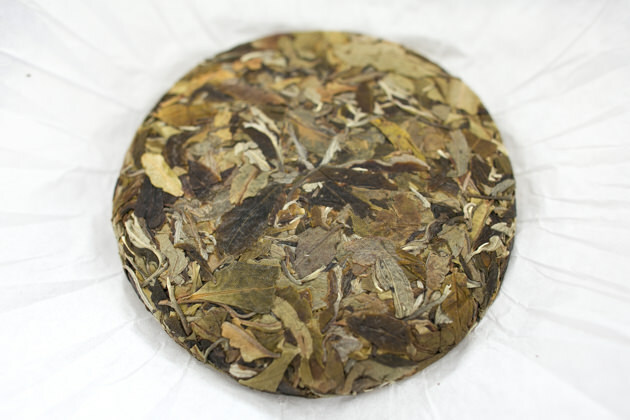 In fact, white tea ages faster than pu-erh tea thanks to its process that white tea is made of semi-fermentation. In 1 to 2 years’ time, the floral flavour changed to fruity. It would also develop sweet flavour like raw honey. With further aging, the flavour becomes thicker and the texture is becoming more silky and mellower. In fact, even with one year of aging, you may experience the difference in flavour and taste too. After keeping tea for more than one year, the tea has to be areated in order to enhance the flavor and taste. As tea has not been in contact with oxygen for long times, it is necessary to moderately oxidize the tea constituents. This process develop more flavour and making taste richer. It is just like decanting of wine. Please opene the bag once and casually seal bak and leave it for 1-2 weeks. White tea is also suitable for cold water brewing. If you are interested, please refer to the following article.